This one has been massively sought after, for a long, long time. Going back way before my Helisexuality campaign, this was a fan favourite, and often speculated on; often the subject of many rumours. All of which turned out to be false. Not this time. Magnificent isn't it? Beautiful thing. Lovely guy. He's due to arrive with the Smuggler's Run DLC, which will drop on August the 29th, 2017. This is the date that will go down as Hunter day. Our blessed Lord and Saviour - Hunter - will return on this date. 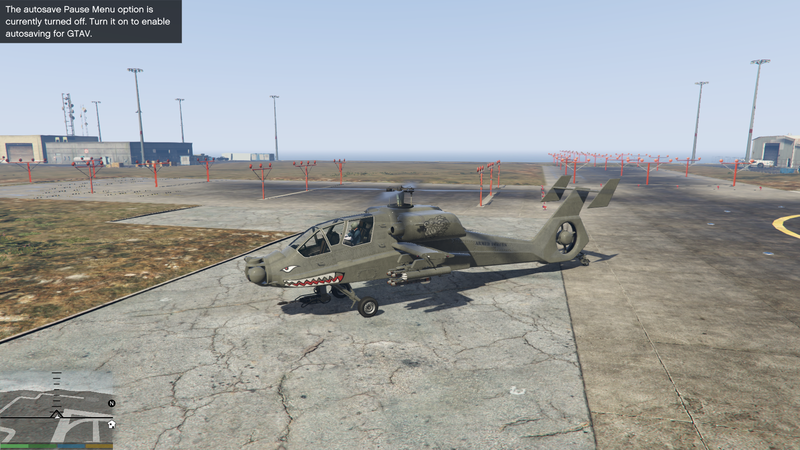 Words can't even describe how honoured I feel to have potentially played any part in getting this attack helicopter added. I had to keep going for years, and even merge with the object of my desire. But He's here now. All should pay respects to Him, marvel at his good looks, and respect our right to kill from above, and to kill needlessly. Yes, we don't have a lot to go on right now. Though we will have it in our hands soon enough; just a few days now. In the mean time, here's what we can tell. It seems to have a new model. Now, this could easily just be cosmetic, and it might simply fire the same projectiles from both pods. Only time will tell. But it does show that the model has changed. It could possibly be customizable. Is it among this range of new customizable aircraft? I hope so. This could open the door to extra armour, different weapon layouts, or at the very least aesthetic changes such as paint and liveries/camouflage. Who knows what will be in store on that front. The gun may be able to pivot. This isn't confirmed - not by a long shot. 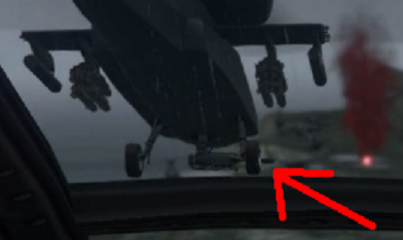 But it does appear that the gun is looking in a different direction than the helicopter itself here. This may require a second player, or if we're really lucky we might be able to aim it solo (perhaps by moving the camera). Again, this isn't confirmed, and it's too vague to recommend getting too hyped about this aspect. It might - might - have countermeasures. Well, basically, there appears to be some kind of flash that seems to be coming from the helicopter, and some people are questioning whether or not it could be countermeasures. Now, there are various explosions seen here - so it is possible it's merely an optical illusion, and that the flash is part of them. 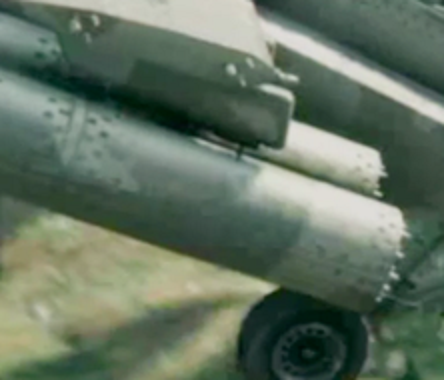 It does look interesting though, and strengthening the case is that a missile can be seen heading in the general direction of the helicopters (evidently it doesn't hit). This is all just speculation anyway. The Hunter may come with some of these features; it may not. At the end of the day, the Hunter is coming, and I'm happy to have it back. So, it's being dripfed out - likely to release some time in October. Urgh! But at least there is a version of it in a source mission, so we've been able to try it out. It has two types of missiles - homing, and "barrage". 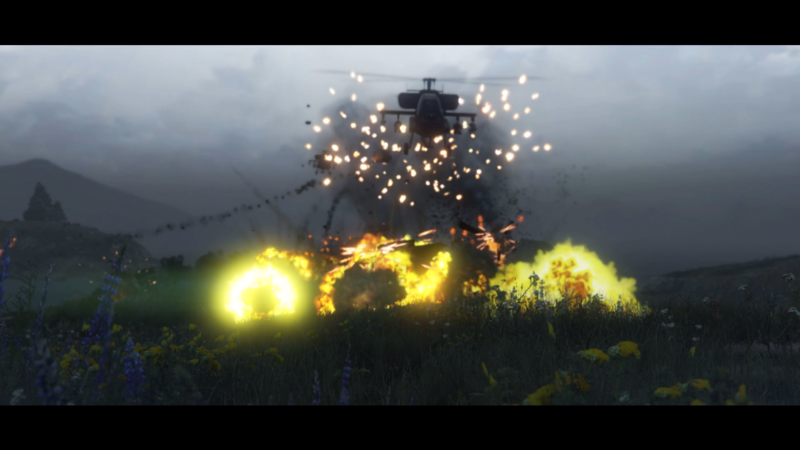 Barrage is self-explanatory - it's a really fast spray of unguided rockets, similar to the real Apache's Hydra rocket pods. Homing is basically the same as the Savage. They, uh, home in on targets, just like other helicopters. The cannon can be upgraded, though sadly both cannon versions need a co-pilot to operate. The stock version, so I've heard, is a lot like the gun on the Karin Technical. The upgraded version is explosive. We also now know what upgrades it has. Edit: Pictures of liveries added, courtesy of the honourable WildBrick142. Now that's a happy Hunter, just look at that smile. Yes! The Hunter, finally! Loved it so much in SA, better not dissapoint. I now sexually identify as an attack helicopter. Respect my right to kill from above, heliphobes. Watch the last gif you posted, the missle going towards the Hunter changes direction completely and hits the ground! Sh*t - I didn't notice that myself actually. I thought that was a separate missile, and that the one heading towards it just went out of the shot. But following more closely, it does look like it turns and hits the ground. That'll be incredible if it can do that. Whatever happens, it's a Hunter anyway. I love it and will buy it as soon as I can. So stoked for this. The fact that it's here at all satisfies me so far. The thought of counter measures or new missile options in a chopper is just a bonus at this point. This is definitely the first thing i will save up money for in this new DLC, everything else can wait, no matter the cost. Hunter was pure destruction in SA, hoping for the same here. Agreed. I just put the speculation in to pass the time, fill it out a little while these painful days go by. Honestly, even if it's very bog standard, it's still amazing just to see it finally here. Congrats Hunter! Finally all those emails paid off . Just don't get too smug about it in everyone's faces, kay? This is trivial at best, hell it might even add to our lords rugged good looks. I really hope the landing gear is retractable. An honor to be on the first page of this. 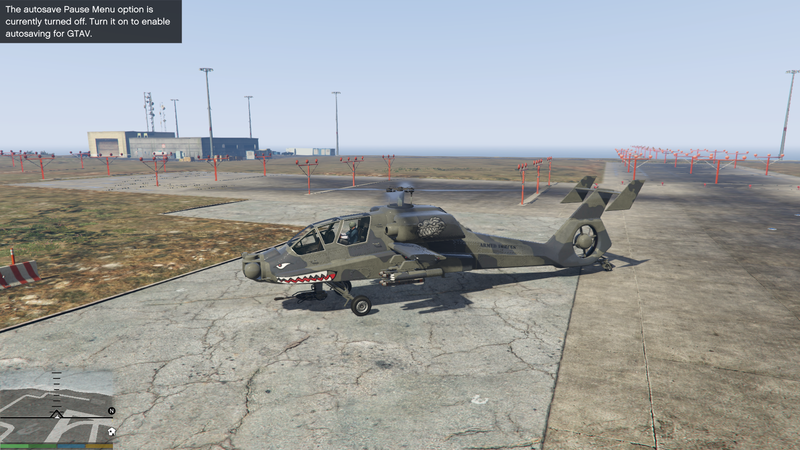 Well done and I CANT WAIT to see how this baby operates for missions, ceo work and of course....griefing people. GREAT! Now that the Hunter is finally coming, here's hoping we get a Flamethrower eventually! I hope by griefing you mean punishing those who disturb us. We're keepers of the peace . Jesus is Lord, Jesus is Love, Jesus is Life, Jesus is Truth. Its Finally Arrived!! Been waiting since I saw the pic of it on the warstock ad. I have chased rumors of the Hunter around the internet for a long time, only to be disappointed when they turned out to be just that. 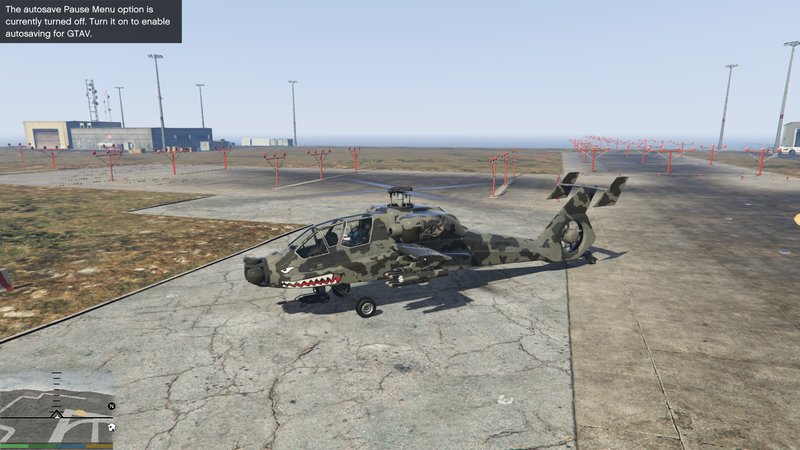 I was again disappointed that gunrunning brought us no new aircraft, but still, I hoped. When I saw Yan's post last week I wanted to believe, but did not want to be let down again. But today is the day! Well, Tuesday is the day, but you get the point. 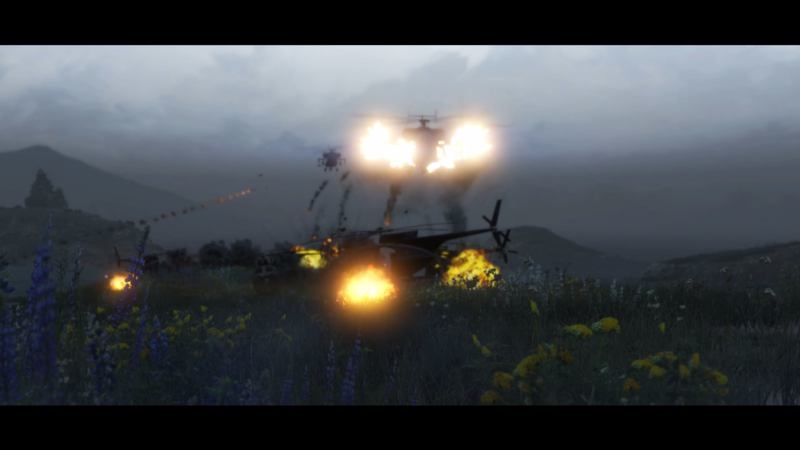 Perhaps the rhythmic thump of rotor blades will become a feared sound once again in Los Santos. It is almost here, please don't f*ck it up Rockstar. 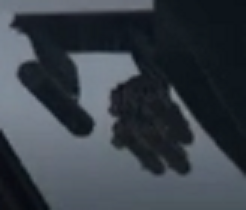 I think the gun is going to be a gunner weapon. Notice how the cockpit screenshot is on the real pilot seat (as opposed to VC's "sit on the co-pilot seat and one-man the thing") and another person on the co-pilot seat. Hopefully they'll leave the missiles and rockets to the pilot though. Having no weapons isn't fun and operating all weapons is going to overwhelm the gunner. And there's also hoping that it's at least Cargobob-tough. Ever since i saw the trailer and the claim of victory on the petition thread, i have been buzzing all day. Awesome thing to wake up to and about damn time chopper lovers and aircraft enthusiasts in general got some love. You'll never get me out of our beloved Hunter! Ever! Hehe. I'd be fine if it was like the Buzzard or Savage where the co-pilot can control the cannon pressing right on the D-Pad(or whatever it is on PC). I'm just hoping the pilot has machine guns AND missiles like the other aircrafts. The cannon being co-pilot exclusive like the Valkyrie. Also hoping it's customizable down to the paint. I'd love to see it in Pure Black or even a gold I have. Gotta rep my boy Yusuf! It'd be fine if it was like the Buzzard or Savage where the co-pilot can control the cannon pressing right on the D-Pad(or whatever it is on PC). I think the best case scenario is that even a lone pilot can use and aim the cannon by moving the camera (though a co-pilot could take over, since they'd be able to zoom in, concentrate better, etc.). Second best - a solo pilot can use everything, but the gun is fixed in place (would need a co-pilot to aim/pivot it). Worst is like, everything needs another player. That's got to be unlikely though. At the very least, at least give us the missiles or something. I think they're gonna deliver well with this though. I mean, they've listened to so much it looks like - seems like they know our complaints. I've watched the trailer like 50 times..actually, I've honestly lost count. I can't say the same for any other trailer they've posted. 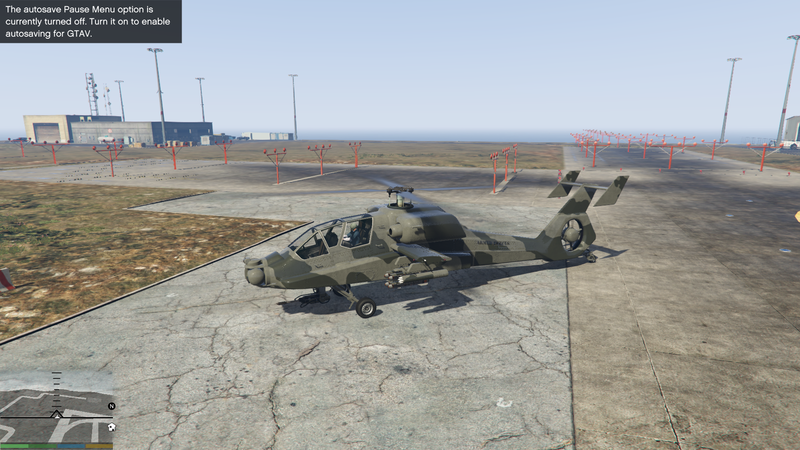 and yeah, I'm ultra curious how some of the new helicopters will handle.. Hopefully they're all different. 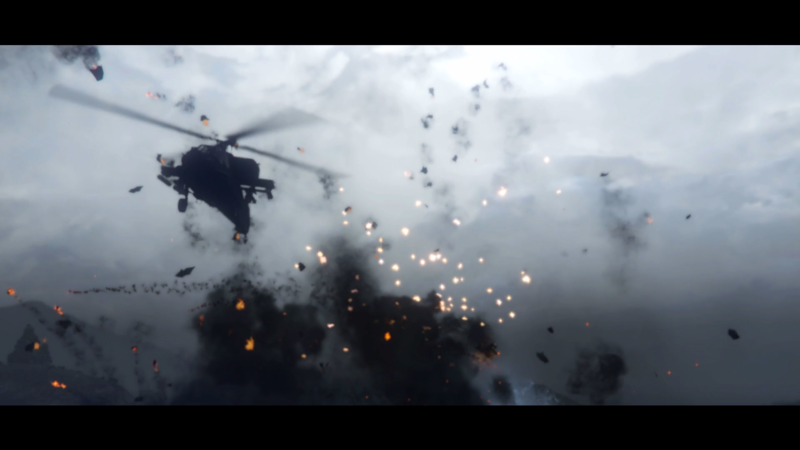 I would be more than happy if we could take stabilization off of helicopters. Well to be fair it wouldn't be as much of a gimmick if I wasn't such a lone wolf lol - would be quite good picking people up and dropping them off, putting snipers on rooftops, etc. But yeah, I hope it's more like what we wanted the Savage to be. i.e. Not made of paper, and not with a tiny range, etc. 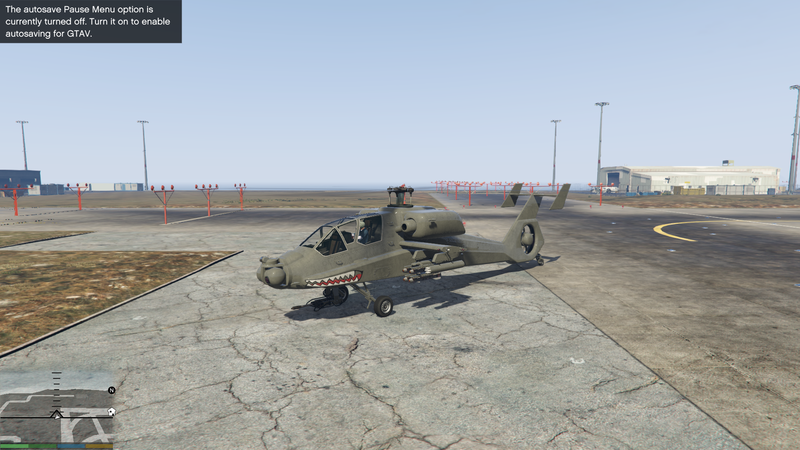 I call it a gimmick because despite its spacious compartment, it carries only 2 passengers like the Buzzard. I mean yes, the Hind is incapable of carrying troops and a full weapon load, but it also isn't made of paper. Oh yeah in that way absolutely. Given its armour it should hold the full 8 in my opinion. Even buffed, should at least be 4-6 in the back. It's fantastic news that this thread could finally be made! We have achieved victory! 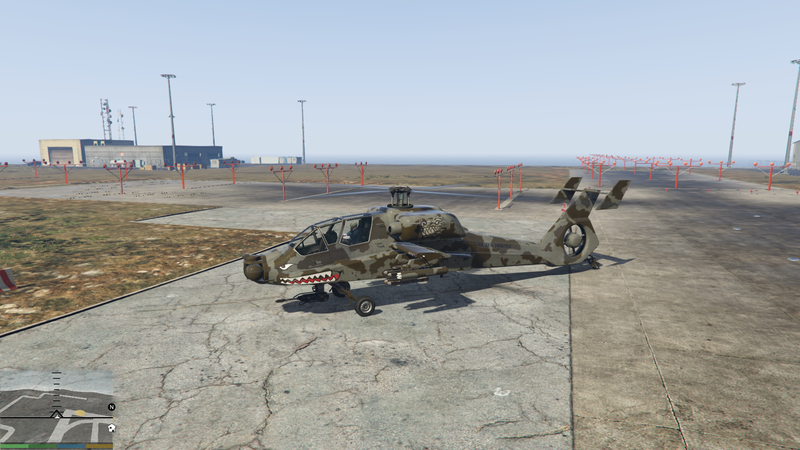 I'm just hoping that the Hunter isn't a letdown, but with the strength of the Gunrunning vehicles, I'm sure it'll be able to take a fair bit of damage. 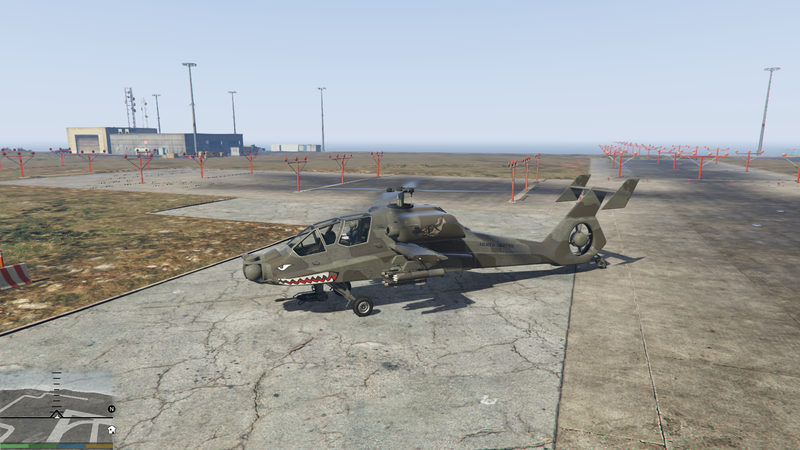 Can't wait to try this in contact missions like The Los Santos Connection.